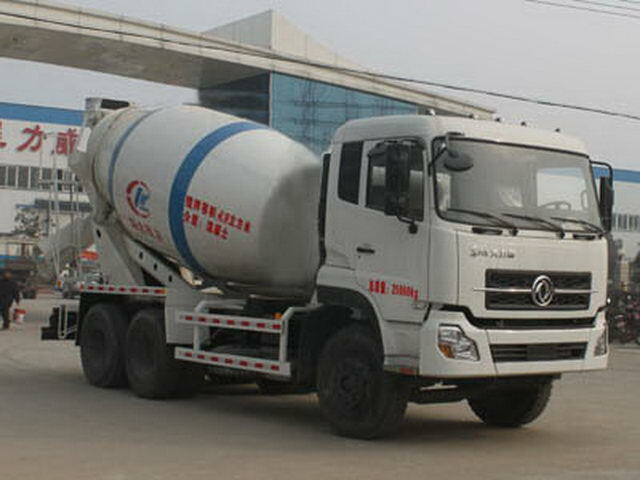 ISL9.5-375E40A Dongfeng Commercial Vehicle Co., Ltd.
Agitation capacity4.9Cubic metre. The quality change caused by the total length of the vehicle is less than3%,So just write a kerb mass. 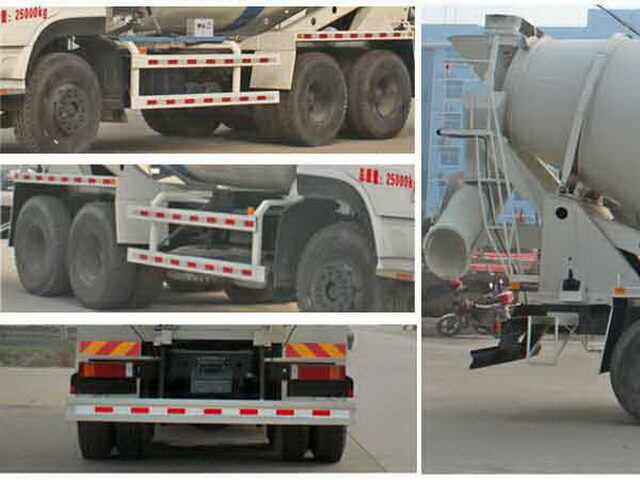 Wheelbase/Rear overhang/Shape length/High profile(mm)Corresponding relation is:3650+1350/2500/9000/3950,3800+1350/2470/9120/3950,4000+1350/2800/9650/3990. The number of drivers in the cab is2,3People and the quality of the rated load(kg):10805,10870One-to-one correspondence. 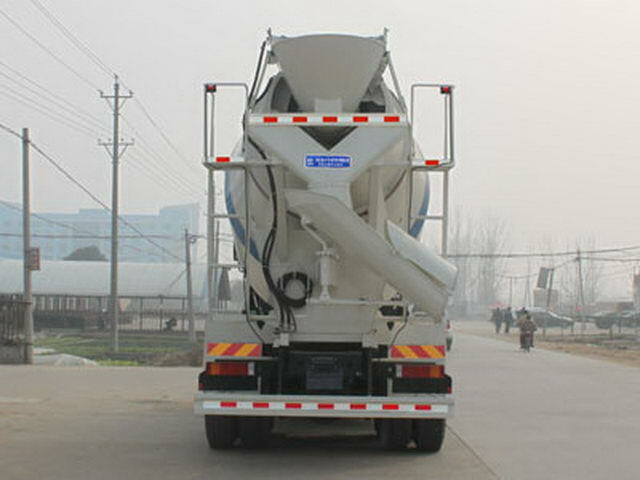 Protective material:Q235Acarbon steel,Connection mode:The left and right sides are protected by welding connection,The rear lower part is protected by bolt connection,Rear section size(mm):190*50,Rear protection height(mm):520. The car only choose the engine modeldCi350-40,dCi385-40,ISLe340 40,ISLe375 40,ISL9.5-340E40A,ISL9.5-375E40ACorresponding fuel consumption value(L/100km)Respectively as35.5;35.5;34.98;34.97;35.7;35.4. The vehicle mounted travelling data recorder with satellite positioning function.ABSManufacturer:Dongfeng electronic Polytron Technologies Inc brake system company;Model:3631010-C2000. Other: Shape length=The corresponding relationship between the wheelbase + + front suspension rear suspension:7980=(3650+1350)+1500+1480,8150=(3800+1350)+1500+1500,8550=(4000+1350)+1500+1700,8250=(3800+1450)+1500+1500,8350=(3800+1350)+1500+1700.8900=(4250+1350)+1500+1800.ABSModel:3631010-C2000,ABSManufactor:The East Branch Knorr commercial vehicle braking system(Shiyan)Limited company.